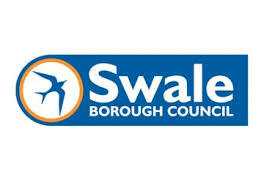 Swale Borough Council is the local authority for Swale in Kent, England. The district is split in two by a narrow channel – the Swale – that separates mainland Kent from the Isle of Sheppey. The district of Swale covers an area of 144 square miles, taking in the towns of Sittingbourne and Faversham on the mainland and Sheerness and Queenborough on Sheppey. The Council is responsible for a population of just over 146,000 people. Since 2008 Swale Borough Council has been part of the Mid-Kent Services partnership together with Maidstone Borough Council and Tunbridge Wells Council. Members of this partnership share provision of key services, one of which is IT. Swale Borough Council was one of the first in the country to set up a customer service contact centre. Its customer services team works across three different locations of the borough and provides a full range of front line services. The team’s head office is in Sittingbourne and provides the reception, service desk and contact centre functions. All staff in the team are multi-skilled so that they can work in any location, take on any role within the team and provide the same service to the public regardless of contact channel . The customer services team had a legacy CRM system that it had been using since 2002. The team has always worked extremely closely with the Council’s IT department in order to develop the existing system which included integration with other internal systems as well as 3rd party systems. Customer services staff along with the respective service areas would map out their workflows and processes and then pass that information to the IT team who would develop the necessary service forms within the legacy CRM system. The existing CRM system was the only system that most of the customer services team members had ever used. Over the years it had been integrated with every other frontline service that the team needed to deliver, from council tax payment, parking permits and electoral registration through to delivery of the council’s environmental services along with integration with third party contractors’ systems such as the waste management function. There were approximately 200 different service forms within the system which included some online forms. In 2016 it became clear that the existing CRM system was coming towards the end of its life and the Council began the process of procuring a new system to replace it. As part of this process they conducted a full review of all existing processes and were able to reduce the number of service forms needed down to around 100. After a comprehensive procurement process the Council appointed Abavus to develop the new digital platform (CRM system), based on its My Council Services suite of products. Shortly after the project began, the suppliers of legacy CRM system announced that they were going to cease trading under the CRM remit and that the system would no longer be supported by April 2018. Thus the requirement to get the new system up and running became even more urgent, but the Council’s requirements remained just as demanding. Flexibility – The legacy CRM system required Swale’s own IT team to do a significant amount of customisation in order to make it fit the Council’s needs. The new system needed to be built to fit Swale’s requirements from the ground up, rather than force Swale to work within the constraints of an out of the box solution. Easy to use – Previously the customer services team had to ask the IT department for help every time they needed a new service form to be set up or a change to be made to an existing form. They wanted to be able to manage this process themselves in the new system. Channel shift – The Council wanted to be able to move more customers online towards self-service options for routine processes and enquiries in order to enable the team to focus on more complex interactions. Integration – The new system needed to integrate fully with all the Council’s other processes and procedures, both in house systems and those of third party suppliers. Able to take payments – The decision was taken that all payments throughout the Council would be handled by the customer services team platform and no other department would deal with any card transactions at all, so the new system needed to facilitate the taking of payments and integrate with all other relevant systems to enable this.